An inclusive, fun and competitive cricket club, in the heart of Wiltshire. We welcome cricketers of all ages and ability. Warminster Cricket Club in the heart of Wiltshire has unrivalled training facilities including a specialist indoor cricket academy. The club boasts an award winning pitch, regularly hosts minor county fixtures and has a great social scene. It really is the perfect place to play cricket in 2019 and beyond! As well as the cricket academy, the pavilion is also available to hire for functions / parties and is the cheapest in town for both hire cost and drinks prices. Club training every Thursday night 6:30pm until 8pm both outside and in our indoor academy, new players of all ages and abilities always welcome! The final round of preseason fixtures this weekend (27th April) The 1XI travel to Frome and the 2XI host Combe Down at Sambourne Road. Warminster Cricket Club is one of very few clubs which offers a cricket academy. Bettering cricket in Wiltshire, Warminster Cricket academy offers year-round training for players of all levels. Our indoor cricket facility boasts a two-lane net as well as a Table Tennis Club and space for members to play a variety of other sports. 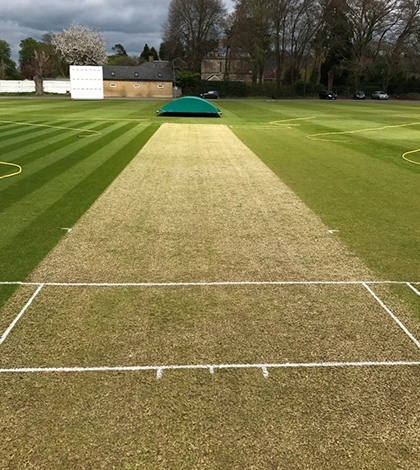 The nets at Warminster Cricket Club are of the finest quality and offer first class conditions for training purposes. Furthermore, the indoor facility means that training can continue throughout the winter months, thus cricket no longer needs to be a summer-based sport. Looking for a function room, venue hire or events space? The Brian Short Pavilion is available for hire for private functions from as little as £15 an hour. The Pavilion has its own fully stocked bar, dance floor and PA system as well as a kitchen. At Warminster Cricket Club we ensure that prices are always kept as low as possible, be it hire or drink prices we want your event to be as reasonably priced as possible.